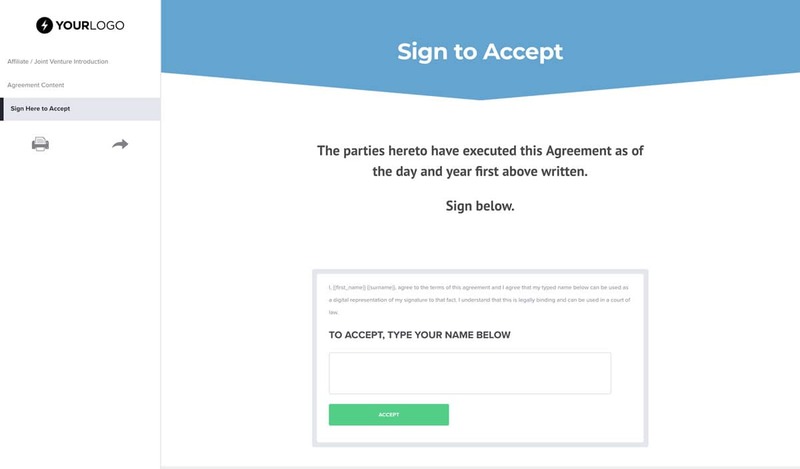 You could send a PDF and make your partners jump through hoops but isn't it way more classy to send a branded, beautifully designed, online contract to sign? The text, images, colours, your logo - it's all 100% editable. Yes it's a business contract, but while being professional, why can't it look impressive too? 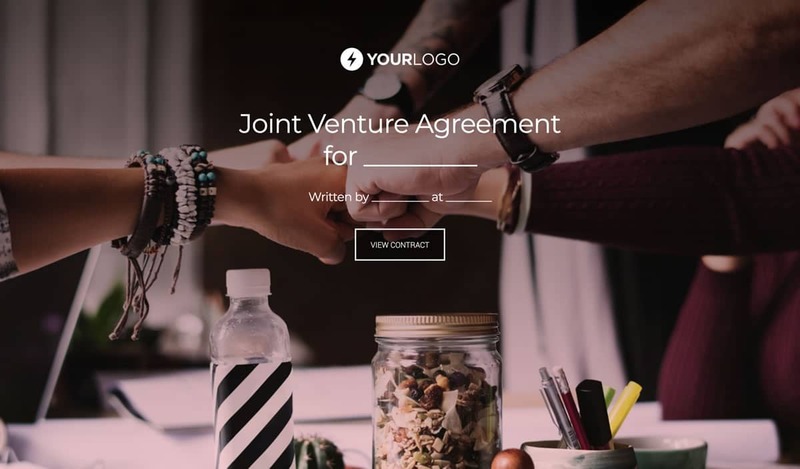 This is why it includes the option of putting a visually striking cover on this joint venture agreement contract. 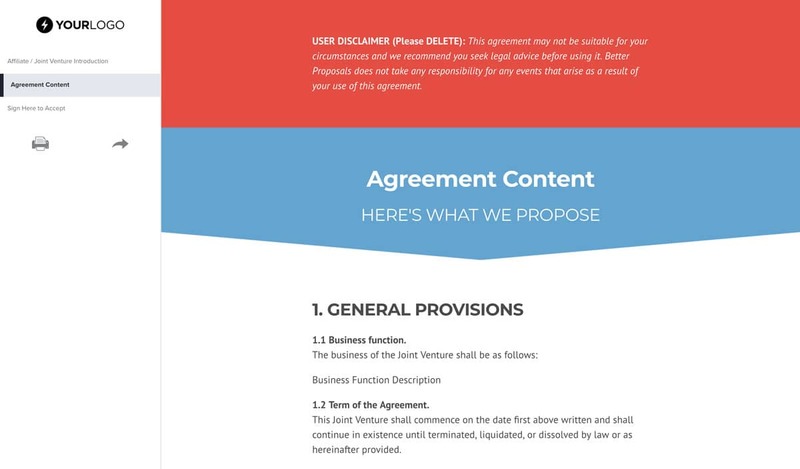 Contracts deserve to look smart too. 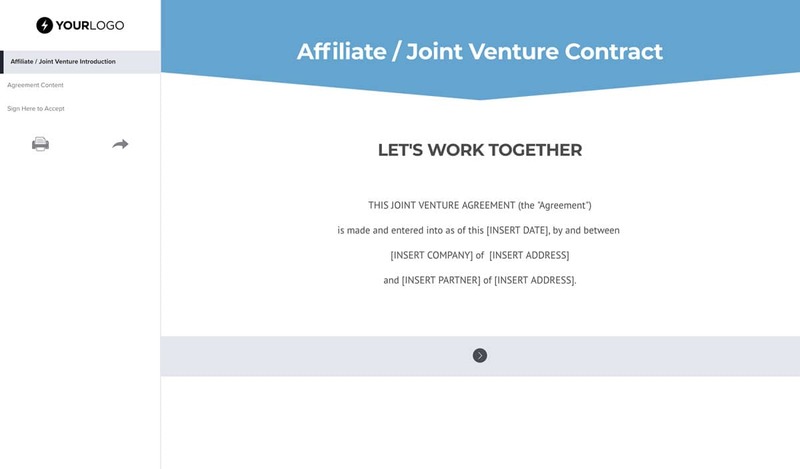 This joint venture agreement contract details who the agreement is between so there's no ambiguity later. Any project that is to succeed is always backed by a solid contract so everyone knows where they stand. It's vital to define the work to be done before work starts. This protects the rights of both your hard work and your partner's interests. When your partner is happy, they simply type their name to accept the contract that you've laid down. This is where the magic starts. With Better Proposals online contracts you can set up new contracts in minutes or simply re-use your standard contract, but once signed by your client there are no ifs, or buts whatsoever.